I enjoy frameworks, and I love translating them into reality. I have a thirst for knowledge and a drive toward collaboration. I'm not afraid to fail if it exposes a more interesting alternative. I believe simplicity is the key to brilliance. 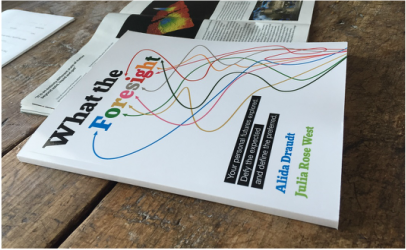 ​What the Foresight is a first-of-its-kind workbook designed to introduce readers to foresight, by taking you through a series of exercises that apply creative and unique foresight tools to your personal life. One key tenant of this work is that there is not one future, but many! This workbook helps you explore a spectrum of possible futures in order to better make decisions in the present and, maybe more importantly, better prepare for unexpected events and outcomes.